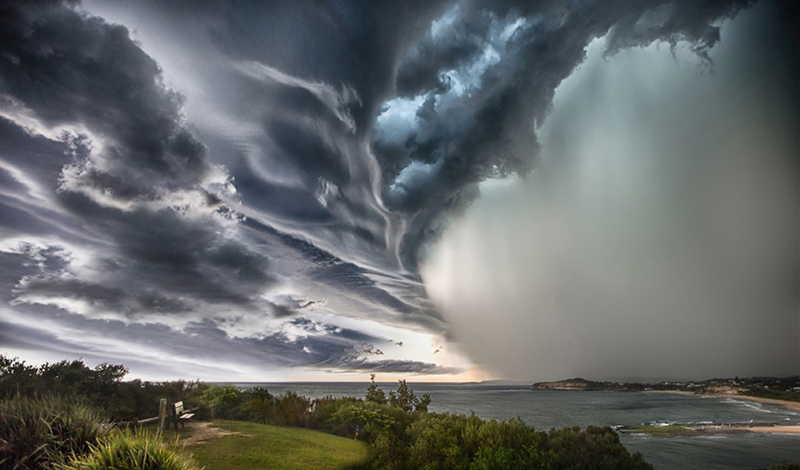 This image was taken from the Mona Vale Headland in December 2014. The lumpy cloud on the left of the image is called an asperitas cloud. This is a newly named cloud, the first to be added to the World Meteorological Organization's Cloud Atlas in over 50 years. The ragged cloud in the middle is called a Cumulus Fractious. The image used in the Calendar is a cropped version. This is the full image. Image Available for sale as a Limited Edition Print (edition of 20) at 22 inches by 13 inches. Also available as a Square Format Large Edition Limited Edition of 5 at 40"x40". Contact me directly to discuss on pamelapauline5@gmail.com.